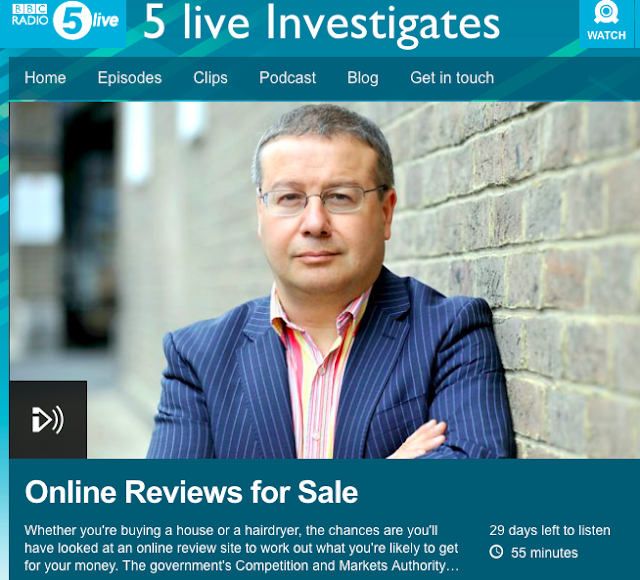 Radio 5 Live Investigates devoted an hour to reviews sites on Sunday morning. While they initially focused on fake reviews and the commercial relationship between the reviews sites and their business customers, sites such as Trustpilot and TripAdvisor came in for serious criticism for some of their business practices. The podcast is well worth investing an hour to listen to - not least because it reinforces what we have known for some time: that consumers rely on reviews - but our response cuts right through the whole argument: why use any other review mechanism in preference to Google? 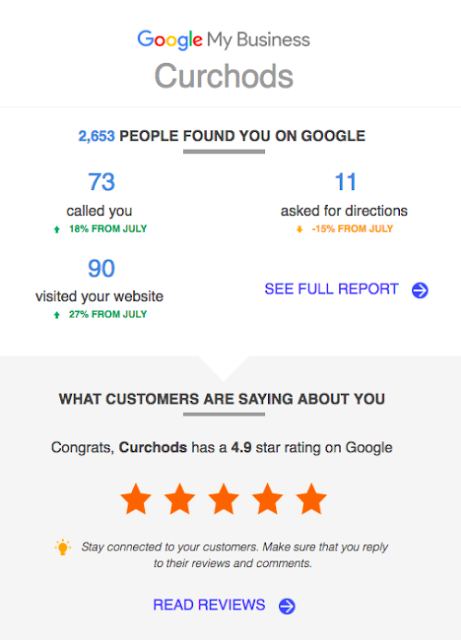 Google provide two free reviews solutions - one for products and one for services (the main Google reviews that you see when you search for any business). 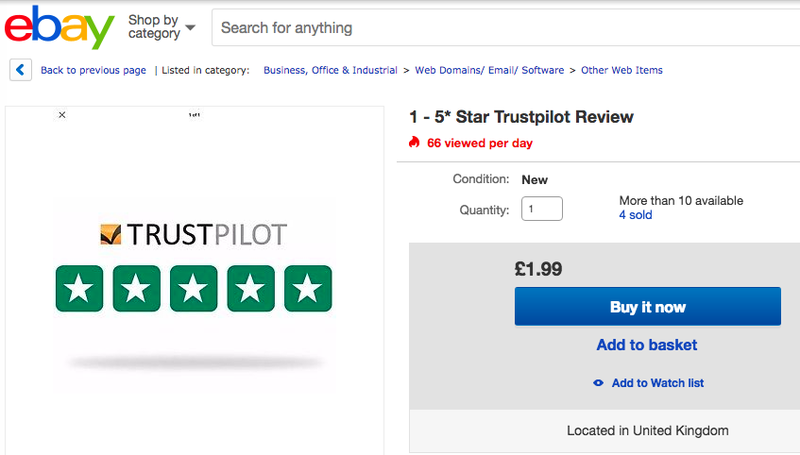 The only conclusion we can come to is that the USPs of the reviews sites, varying as they may from one to another, all offer businesses 'advantages' and, as much as the representatives of Trustpilot and TripAdvisor strove to make out that those 'advantages' were legitimate - and we are not for a moment suggesting that the reviews sites have cynically built in mechanisms that disadvantage dissatisfied consumers - there are businesses out there who are doing their level best to take advantage of weaknesses in their business models. 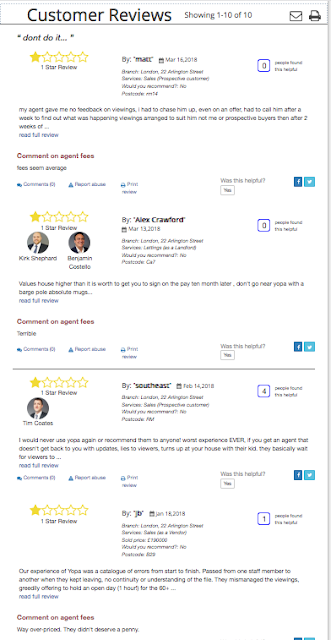 It's always a good idea to read reviews written by the reviews site's sales staff on employment sites - they can be illuminating! 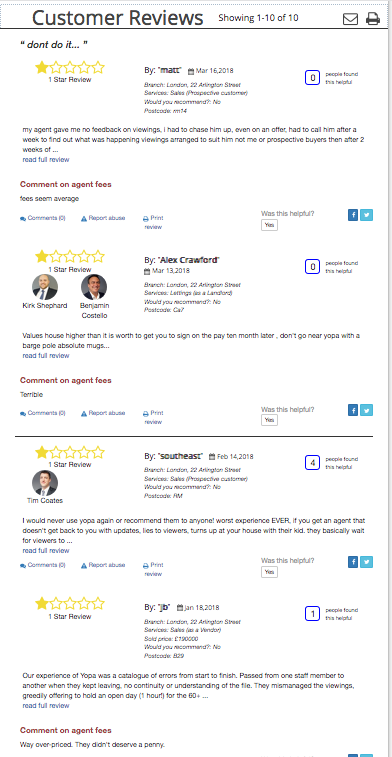 A listener called Laura called in about her experience with Trustpilot and their clients, the online estate agency PurpleBricks. She commented that whilst she had posted her two star review - and had that challenged almost immediately, with Trustpilot asking her for proof that she had been a bona fide client, which she had provided 'within an hour' - by the time her review was reinstated on the site it was 'many pages down the listing' and 'unlikely to be seen by all but the most persistent reader'. Both sites interviewed by the BBC claimed to have algorithmic filters to spot fake reviews (The BBC bought their review on eBay). We tried that years ago - and it does not work. The only moderation that does work is human moderation. You cannot cut corners. It is mechanisms like these that have us asking, time and again,'Why not use Google?' and there is a very clear answer: businesses are aware that unhappy consumers have massively more motivation to write reviews and unless they have some mechanism that allows them to question negative reviews they will have damage - often irreparable damage - done to their business's online reputation, and they look for someone to hold their hand. So how does HelpHound do it? 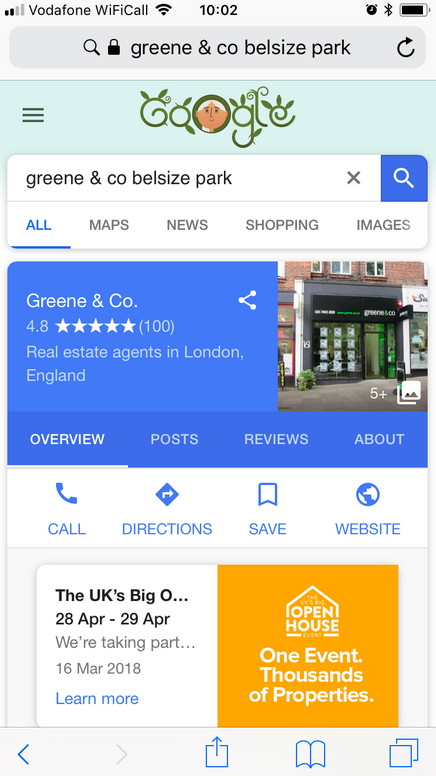 If you look at the screenshot above you will see two sources of reviews - the business's Google reviews (and score and star rating) in the knowledge panel on the right and the business's own reviews (and score and star rating) at the top of organic search. 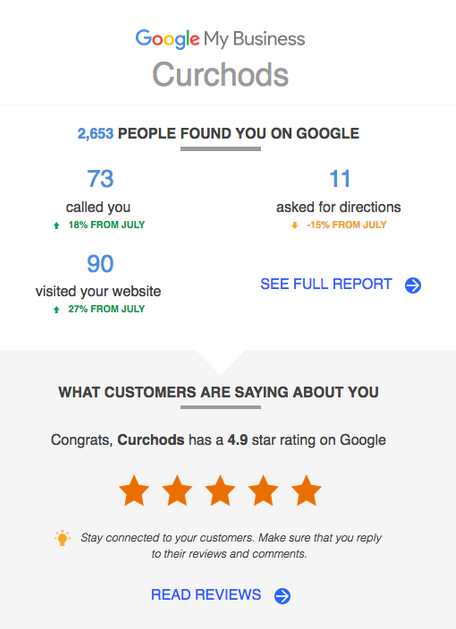 It may surprise you to know that the business in this example had only two Google reviews when they joined - and none of their own. They, just like almost everyone else, had looked at all the alternatives and decided against them - the reviews sites because of lack of visibility and Google because of the aforementioned risk of looking bad. 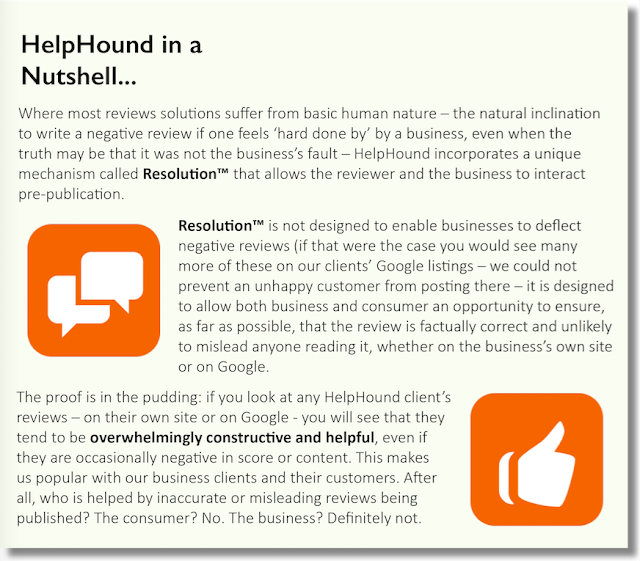 HelpHound - because of our 'manual' moderation - were able to reassure Greene & Co that the risk of factually inaccurate or potentially misleading reviews appearing, on their website or on Google, would be minimised (but not eliminated - see below and a detailed description of our moderation process here). And if you mine down into the review in both places, that is exactly what has happened. HelpHound's moderation will not prevent a genuine negative review appearing, so the business must be on its toes where customer service is concerned, but it will mean that the content of the reviews will accurately reflect the business - and that benefits the consumer just as much as the business (arguably even more so). So, back to our central theme: business's don't need a reviews site - all they need is good review management and Google. Simple really. And one final point: as every businessperson knows, you get what you pay for in life. Helphound may be fractionally more expensive than the reviews sites (those moderators don't, unfortunately, work for nothing, after all) and we don't offer 'free trials', but we do offer a solution that works, producing concrete results the like of which you see illustrated above and throughout this blog - today, and as far as can possibly be predicted: for the future as well. Why break the rules when their is no need? It seems obvious, doesn't it? After all, nearly all our business planning takes account of our medium-to-long-term objectives. But, for reasons we will examine in this article, all those sensible plans can fly right out of the window when it comes to reviews. 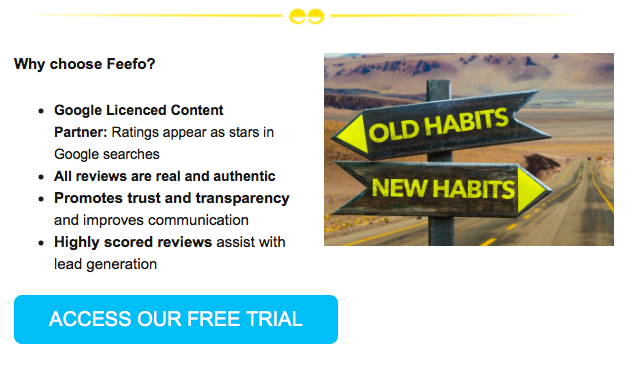 So often we come across businesses that have a pre-existing reviews strategy that is broken in some way - already - and takes very little account of what may happen in the future. Strategies can be 'broken' in so many ways; the most common being non-compliance with the UK Competition & Markets Authority's regulations. There is one way in which the UK leads in new media and that is in its regulation of the world of reviews. 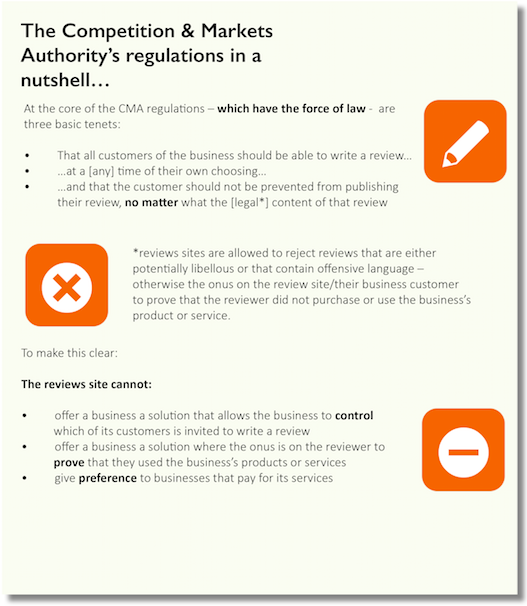 Why would a reviews site be non-compliant? It surprises us too and the conclusion we have come to is twofold: either the reviews site is based outside the UK and is unaware that it is in breach of UK regulations or it is aware (being UK or overseas based) and is flouting those regulations as a matter of commercial necessity and hoping the CMA will either not notice or somehow modify its regulations to allow their practices to continue. Both these contravene the CMA's core regulations relating to reviews. You can read about them in detail here, but in a nutshell they state that any reviews solution must allow any customer to write a review at a time of their choosing. And why are these strategies broken? 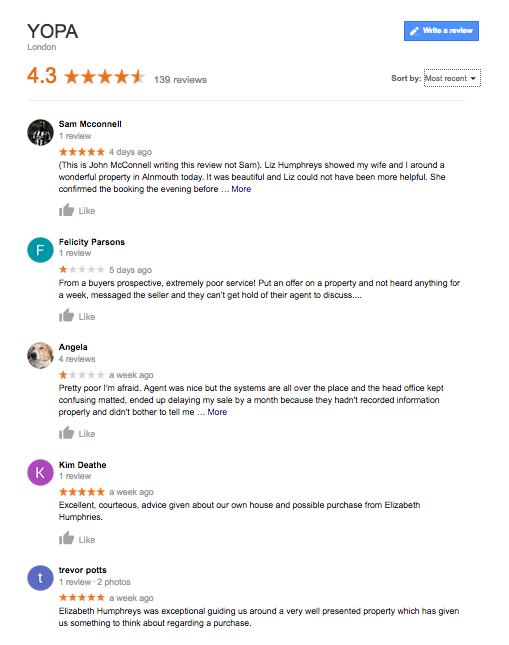 Pressure from competitors: how often do we hear businesses say "We had to adopt [name of reviews site] because [name of competitor] was making us look bad by comparison." 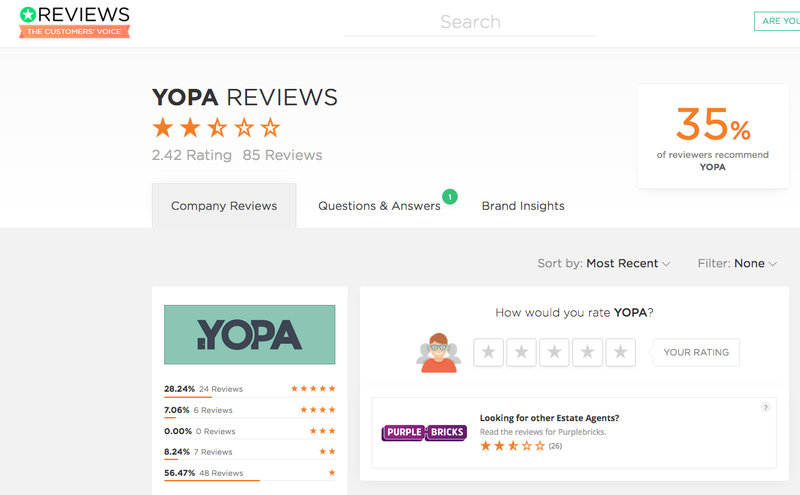 The reviews sites' own sales tactics: many of the reviews sites have significant financial backing and large sales-forces, and those salespeople have targets to meet. The advent of Google made the sale significantly harder (we would say 'impossible') and so some have resorted to over-selling (you only have to look at what their sales staff are saying about them on sites like Glassdoor and Indeed and even their own competitor reviews sites to understand that). 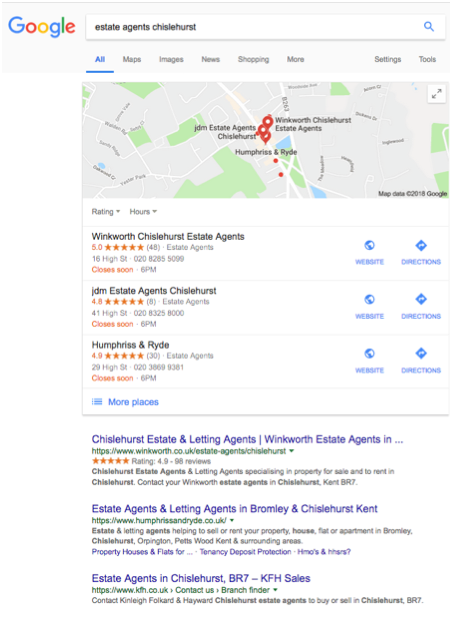 Unintentionally misguided advice from professional advisers: we see this so often - the business's web designer/PR/advertising agency has recommended the reviews site. Almost always there was no intent to mislead, it is simply born out of a misunderstanding of the complex issues at play in the world of reviews - and not realising that there is a better way. 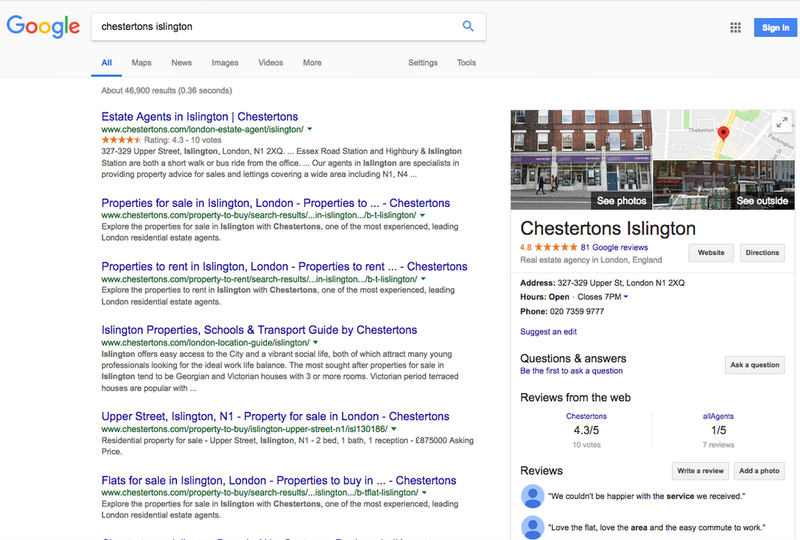 An example (left) of a business that has invested heavily, in every way, in the wrong reviews solution and the impact on their image in Google reviews (right). No prizes for guessing our advice: they need to bite the bullet and refocus their review management efforts. 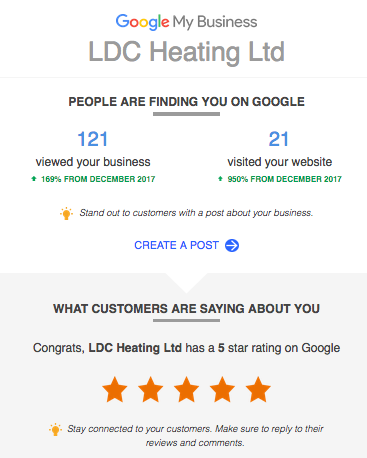 Get reviews to Google - where else can compete in 2018, and where else is likely to compete in the foreseeable future? ...and that's a review management solution. 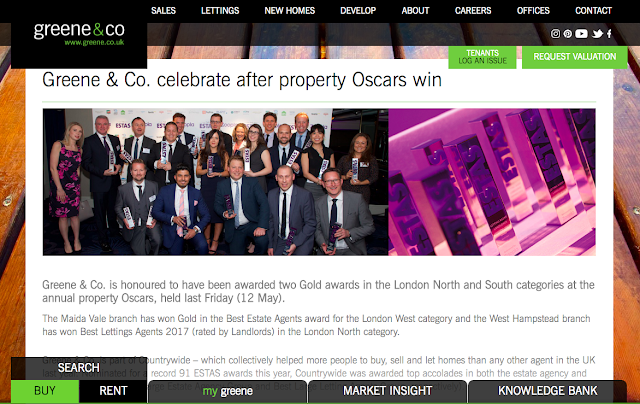 ...but most important of all, they have adopted a strategy - and a legally compliant strategy at that - that will serve their business and their customers in the long term. Why break the rules when there's no need? The whole point of reviews is that they provide a reliable guide for consumers, but to see what some businesses do with them you would think that they were expressly designed to be manipulated so businesses could 'fool all of the people...'. Without credibility these are worth less than nothing - they actually harm a business's brand. 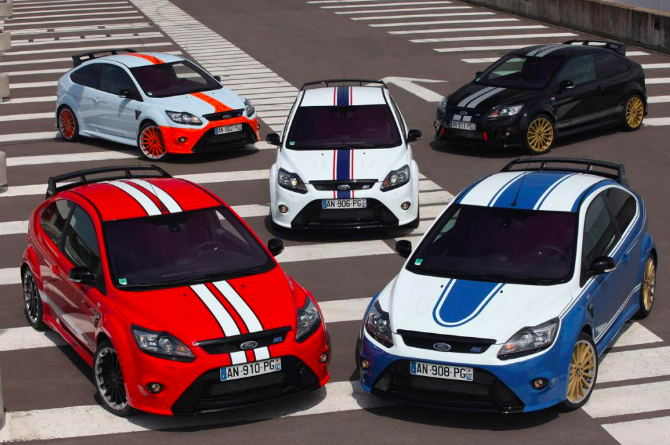 We have written about this before - here, amongst others. But we have found more glaring breaches since that article. We are writing again because what started out as a gentle trickle has now morphed into an epidemic. Almost every business we look at is manipulating reviews, either intentionally or unintentionally - and always in breach of the Competition & Markets Authority's regulations. 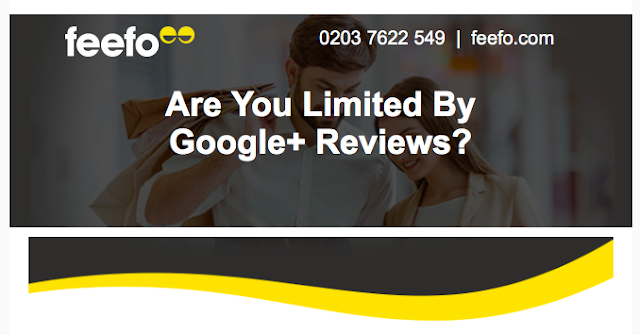 Do businesses think that they have a right to manipulate reviews? Because if they don't, then there are far too many out there doing just that. 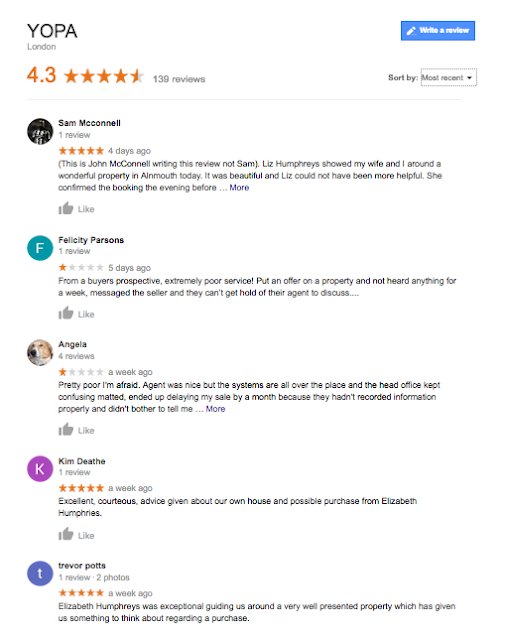 The business (UK-wide, multiple locations) that thinks it is fine that their management and staff post Google reviews - how do we know? Because they have done it using their real names; not only have they posted five star reviews, they have responded to those reviews, thanking the 'reviewer'! The cherry-pickers: choosing which customers you invite to write reviews, whether to Google or a reviews site, is in breach - of course it is. Just think for a minute - if you were the regulator - would you condone this? Of course not. The users of 'closed sites' - where the customer can only invite a review if they are expressly invited to by the business. Again - of course this is a breach, because the regulations explicitly state that a customer must be able to write a review at a time of their own choosing. Do you want to know if a brand new pair of shoes is fit-for-purpose? Yes. But might you also want to know if that pair of shoes is still in one piece six months after purchase? None of these is compliant, and the onus for compliance lands fairly-and-squarely at the door of the business using the reviews site - it is they, the business, that will be on the receiving end of any disciplinary action. "We have to have reviews - because we know that without them we will lose business to our competitors. But we are afraid to ask [all] our [genuine] customers to write them because, human nature being what it is, we know our happy customers won't and our unhappy customers will"
So these businesses willingly put their reputations in harms way. They know that people know they are 'up to no good' and they know that there's a significant risk that one day, sooner or later, a (ex)member of staff will blow the whistle and the game will be up. but still, such are the potential rewards, they continue to do it - because they fear giving up the short-term rewards of looking great in reviews. There are many reasons that we publish on this subject again. To warn businesses that they have far more to worry about than the odd whistle-blower. They need to know that the CMA is actively taking an interest in just the very practices that we have outlined above. We also need businesses to know that there is another way. This all pre-supposes that the business in question is committed to high levels of customer care. Given that, then the only thing such a business would require is access to a mechanism that would ensure, as far as is reasonably possible, that reviews containing inaccuracies - of fact or opinion - could be addressed before publication. Such a mechanism - as HelpHound clients already know - does exist. And its name is Resolution™. Resolution enables our clients to look just as good as they are. It does not prevent a reviewer from publishing an inaccurate or misleading review (and it certainly does not prevent a reviewer from writing a negative review) but it does mean that such a reviewer will know, pre-publication, that their review - if potentially misleading or factually inaccurate - will be subject to challenge by the business if it is published. There's no need - there is another way - and it's called HelpHound. Let's get back to basics. Why do reviews exist? Answer: to help consumers choose the right product or service. And if you are a business? To encourage consumers to use your business. 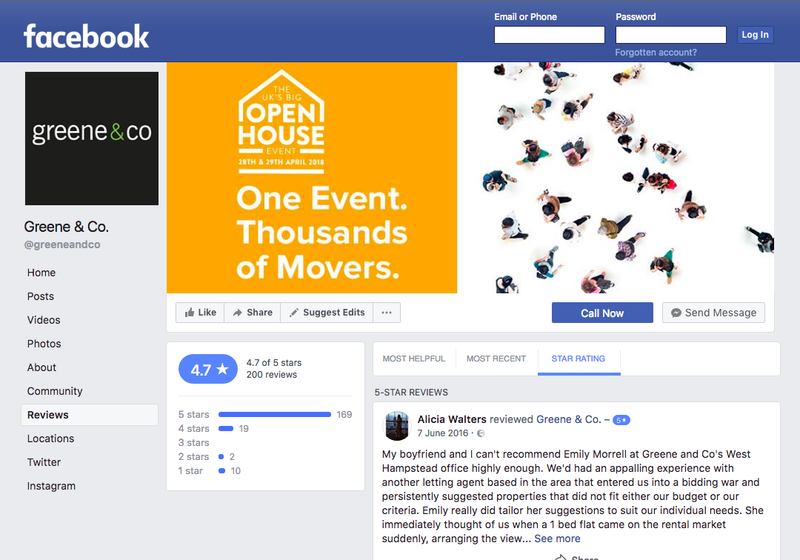 So lets look at the reviews of just one business that is representative of so many - and see if they achieve that simple objective. ...and what do they expect their target market (home sellers) to do next? Given that Yopa has no offices to drop in to we're guessing the answer to that one is 'go online'. Go online where? Well, given that consumers in this situation are looking at what is possibly their biggest ever financial transaction it's fair to guess that a significant proportion will be looking for reviews. 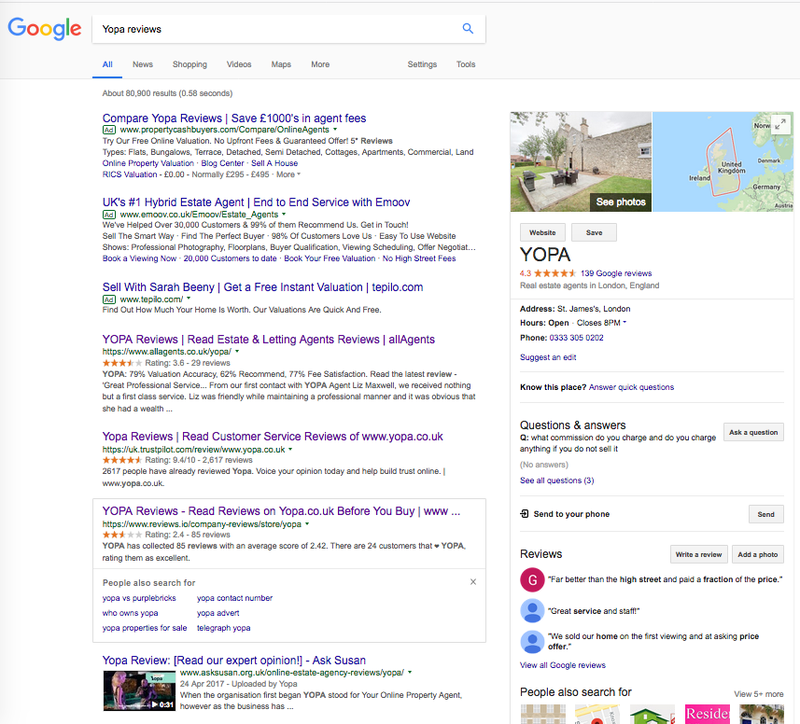 Once past the PPC advertisements we can see four sources of reviews (and star ratings), so, being concerned and responsible home-sellers we take each in turn, starting at the top with a site called AllAgents (after all, it is headed 'YOPA reviews...'). And what do we see? ...and there are over a hundred of these. ...that helpfully tells you that only one-in-three of Yopa's customers would recommend them (not only that, it also 'helpfully' promotes a business - PurpleBricks - that we are guessing is Yopa's No.1 competitor - although their reviews on Reviews.io are even worse!). Hoorah! 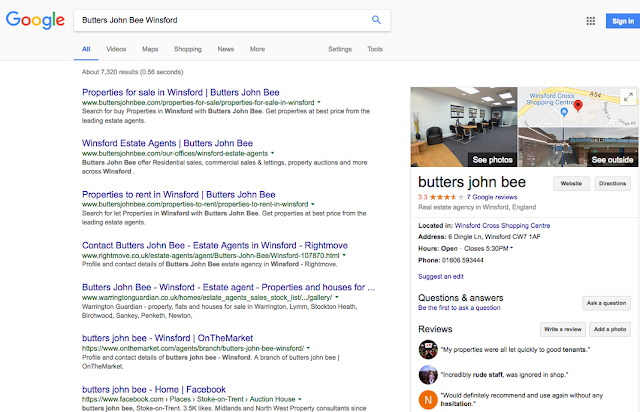 for a name every consumer recognises (a recent survey by Rightmove found that 8% of consumers recognised Trustpilot, ahead of the 2% who recognised Feefo)... and a respectable score, but still an increasing volume of worrying - for both business and consumer - negative reviews, not all of which accurately reflect the true position. 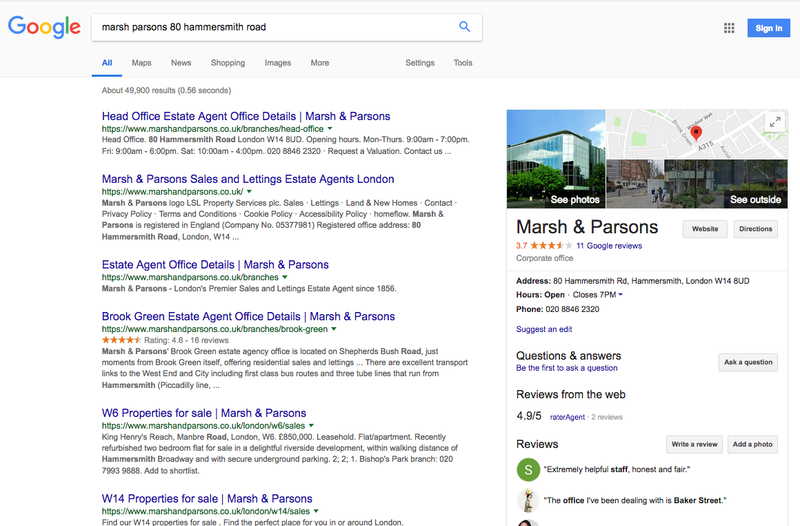 At the end of the day we have been confidently predicting Google's dominance - total dominance - in the reviews space for over four years now (and advising our clients accordingly). We are glad that we have - and so are our clients. 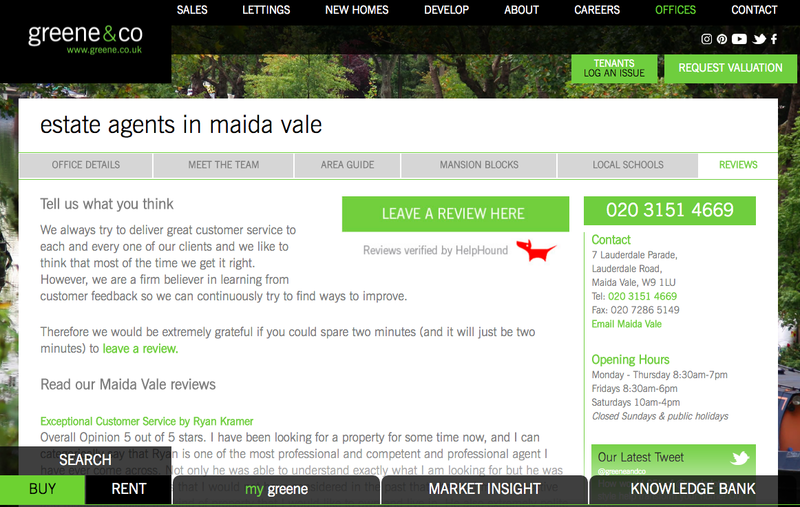 If you are concerned about inviting unfair negative reviews - as you should be - read this article. 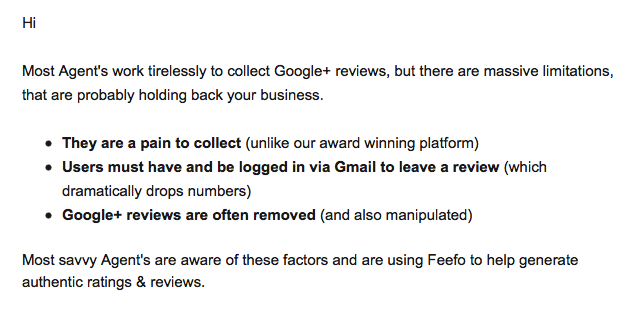 If you want to understand the consequences of using an independent reviews site instead of Google - read this. *Let us tell you a true story. 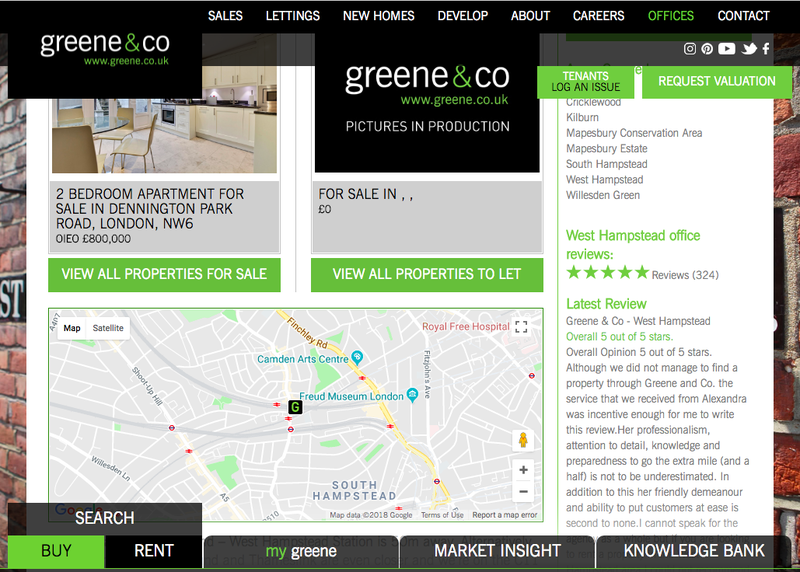 Once upon a time (in 2012, as it happens) the world's biggest independent reviews site opened its London office and began actively marketing itself to UK businesses. 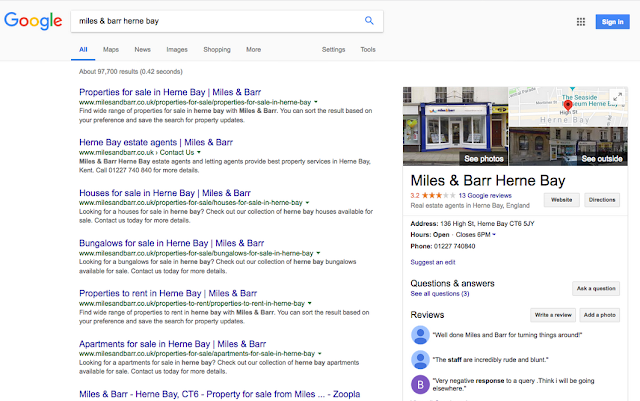 Those businesses that are convinced by the review site's sales pitch invest significant resources, in both cash and time - not to mention their brand's credibility - in building their presence on that site. The site's name? Yelp. And what did Yelp do, four years later, after all those resources and effort had been committed by those businesses? It left the UK. We have said it once already in this article (and many times over the years): own your own reviews - and then get them where they will have the most influence: Google. 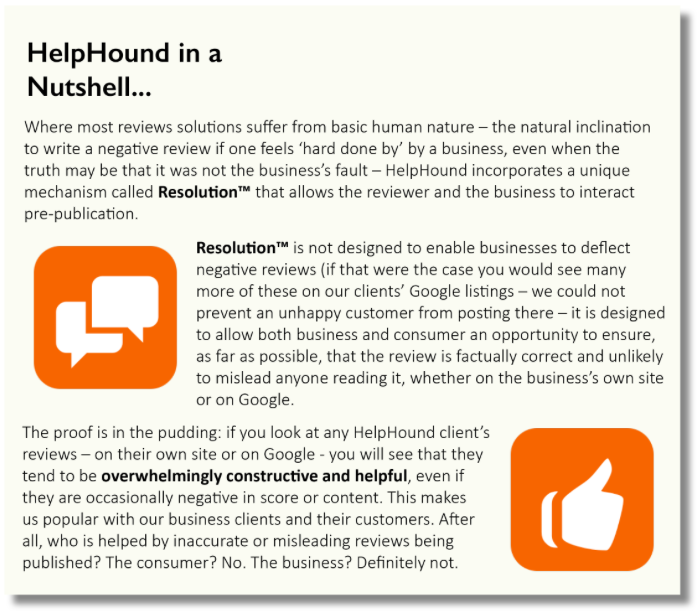 And to make it even more plain: HelpHound, as review managers, stand or fall on the quality of the advice we give to our clients, of which this blog is part of an extensive written record. We have no inherent bias against the independent reviews sites and if and when they deliver results we will be the first to recommend them to our clients. 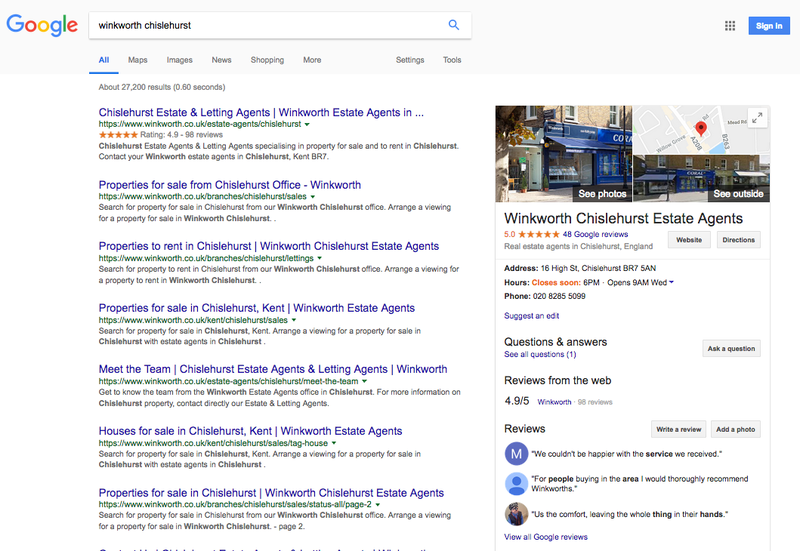 We are not remunerated a single penny by Google, either directly or indirectly (not many independent reviews sites can say that) and include them in our recommendations as a matter of 'best advice'.